Awesome Indies Discovery Book Tour | Ancient Children. Talion is part of the Awesome Indies Discovery blog tour that begins today and continues through December 14. Ancient Children will feature a new book every day except December 10, when Talion will be featured on the other blogs. (It’s featured here today.) 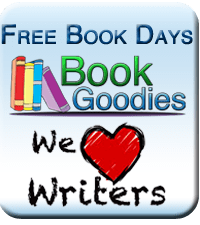 Come back every day for excellent fiction, great deals, and exciting giveaways. You can find out more about the tour at Discover Authors. I’m giving away an ebook copy of Talion to the first 10 readers who ask to be added to my newsletter mailing list. Find out more about the upcoming publication of the sequel, Daemon Seer. Just contact me by clickinghere. I’ll need your name and email address. And be sure to let me know whether you want the Kindle book or the ePub version. Talion will be featured by The Fussy Librarian on Saturday, December 7. Stop by and sign up for your personalized ebook recommendations.